Get ready for real South Seas living — majestic verdant mountains, spectacular turquoise lagoons and endless beaches. 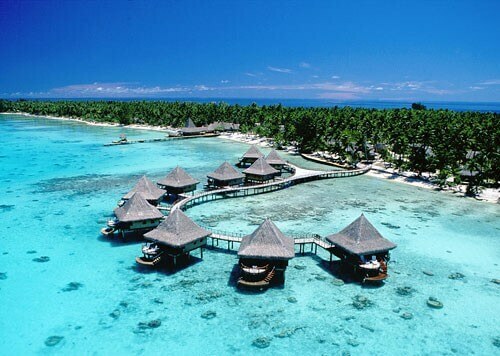 Leave this afternoon for the legendary islands of Tahiti. Early arrival in Tahiti. Connect with your flight to Moorea. Take off your watch, slip on a pareo, and you’re ready for real South Seas dreams–Moorea’s white sand beaches and crystal clear lagoon set the perfect scene for a casual, barefoot vacation. Fly on to Bora Bora, where you’ll land on an air strip built on a motu by U.S. forces in 1942. Breathtakingly beautiful, Bora Bora is scarcely 20 miles around, its turquoise lagoon dotted with deserted motu which beckon you to while away the days enjoying the pleasures of paradise. Many call it the most beautiful island in the world! Continue to the atoll of Rangiroa–a tiny speck in an endlessly blue ocean, and a diver’s paradise. A string of islets surrounds a vast lagoon, creating an immense aquatic playground. Swim, scuba, and snorkel. Live the life of a beachcomber. Wander endless beaches. Start a shell collection. Or do nothing more than relax in a hammock… with any luck, you’ll never be rescued. While you are in Rangiroa, experience the unique Kia Ora Sauvage. Ask for details. 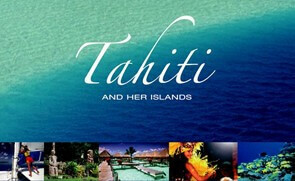 Return to Tahiti where hotel accommodations are provided until time to depart for the airport and your late evening flight back to Los Angeles, where you arrive the next morning. Take time to shop and dine into your last evening in paradise-until you return! Upgrades available on all categories. 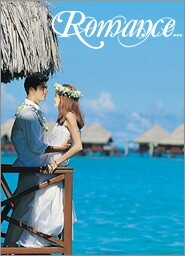 *Intercontinental Bora Bora Le Moana Resort includes daily breakfast with hotel stay. Seasonal air and land supplements apply. Ask for details at time of booking. Air fare supplements apply for Air Tahiti Nui flights on Friday and Saturday. Prices are in USD, ‘from’ per person, based on double occupancy, unless specifically noted. Single or extra person (triple) supplements apply. Package rates are inclusive of room tax & VAT, International air-inclusive packages rates also reflect airline fuel surcharge and U.S. airline taxes and fees. Strictly subject to availability at time of booking. Black out dates, minimum stay requirements, seasonal surcharges, currency exchange fluctuations, and other restrictions may apply. Prices, itinerary and conditions are subject to change without notice. Clients may be responsible for local city taxes, bed taxes and airport departure taxes not included with the international ticket. Information will be provided at the time of booking.